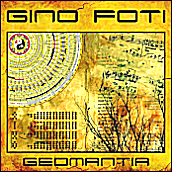 Bass guitar and keyboard player Gino Foti is a world fusion musician on Net Dot Music, an independent record label specializing in instrumental fusion: all-instrumental music that blends several styles and genres. His catalog explores the relationships between diverse musical traditions, and the dichotomy of rhythm & melody of the bass guitar, by integrating ethnic sonorities into his jazz-rock palette. If you are an avid listener of jazz fusion, world music, progressive rock, or related instrumental music hybrids like: world jazz, world beat, and ethnic fusion - even classical, meditation, and new age - you will probably connect with his music. Gino is also the co-founder of Electrum, an instrumental progressive rock power trio whose mission was to create eclectic compositions that stimulate the listener emotionally, while challenging the performers technically. Their music featured rhythmic ensemble interplay, complex arrangements, and odd time signatures. They released two albums that have been Out Of Print for years. Featured release: Geomantia - Sixteen compositions exploring the contrast between design and chance by using aleatory music elements via geomantic devices, including: I Ching coins & hexagrams, dice, runes, and a tarot deck. A confluence of earth divination and a unique musical vision retaining the passion, power, and precision of his past releases. It includes two trilogies: the first based on sacred geometry, featuring several odd time signatures, and the second in free time. In the pipeline: Gino has begun mixdowns on twenty Johann Sebastian Bach arrangements, for one to four electric bass guitars, with the material covering both sacred & secular, vocal & instrumental works from the master's oeuvre. Scheduled release date: March 21, 2020 (Bach's 335th birthday). Free MP3 album: Download over an hour of music from his entire catalog for free! Merchandise: More products (some customizable) have been added to his CafePress storefronts. Distribution: Gino's catalog has been added to the Sugo Music Group, an American-based full service distributor, record label, PRO (Performance Rights Organizations) registrar, and entertainment company that provides global delivery, one-stop music distribution, publishing, and licensing services. Selected compositions appear on several volumes of their Various Artists compilations. 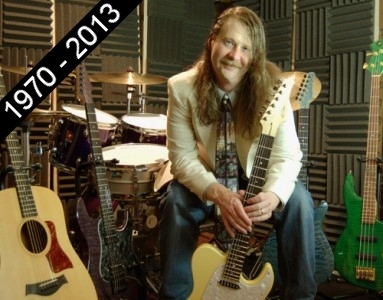 In memoriam: Electrum guitarist & co-founder Dave Kulju, died suddenly in December 2013. We dearly miss our brother-in-music. Lepää rauhassa.